Plants carrying symbolic meanings sometimes appear in Chinese paintings together, regardless of their native regions and growing seasons. 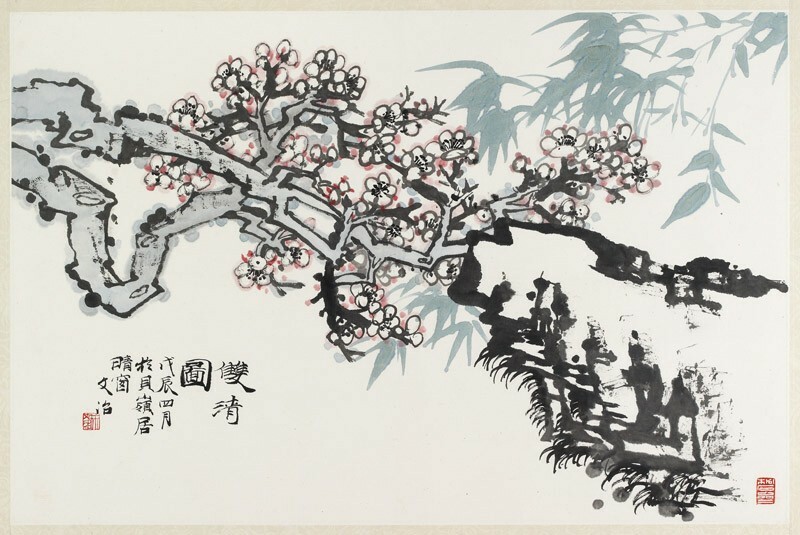 The combination of bamboo and plum blossom is a typical theme in Chinese painting, which first appeared around the 10th century. Song Wenzhi (1919-1999), a leading ink painter in China, applied different methods in this painting to demonstrate the characteristics of plum blossoms, bamboo, and the rock in the foreground. The inscription reads "The double elegancies. At a sunny window of the Beilingju Restaurant." Presented by Anselmo Reyes in memory of Mary Tregear (1924-2010), 2011.